To everything there is a season, and a time to every purpose under the heaven: a time to be born, and a time to die, a time to plant, and a time to pluck up that, which is planted. Georgette Lipscomb Williams, 98 years, 5 months, and 29 days old, completed her journey and departed this earthly life at New York – Presbyterian Lower Manhattan Hospital, New York City surrounded by family and transitioned to eternal rest at 5:02 AM Saturday, March 23, 2019. Georgette, affectionately known as “Bunny,” was born in Milton, North Carolina on September 24, 1920, to the late George Madison and Mattie B. Hicks Lipscomb. She was the third child of seven children and was named after her father. 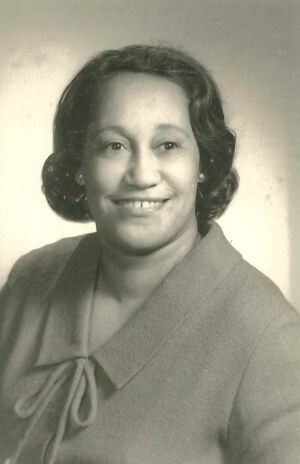 She attended and graduated from Caswell County Training School in Yanceyville, North Carolina in 1939. 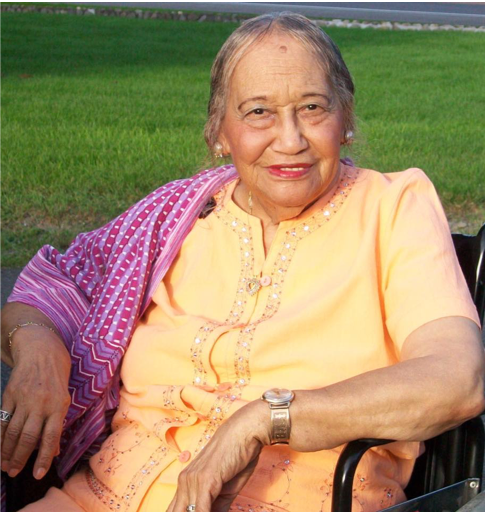 Georgette always had an innate passion to learn and improve her life. After her four daughters were awarded Baccalaureate Degrees, she enrolled in college. Georgette attended the City University of New York- The City College and earned a Bachelor of Arts degree in June 1978 in Art Education. Georgette’s early Christian experience began at River Zion Baptist Church where she served on the Usher Board and sang in the choir. After moving to New York City, she joined The Convent Avenue Baptist Church in Harlem. She was a faithful member for 65 years. Georgette had a career in the fashion industry as a seamstress and fashion stylist. As a talented artist and creative person, her interest and hobbies included crocheting, interior design, needle point, painting, pottery, quilting, and sculpture. One of her favorite pastimes was making handmade Christmas ornaments for her daughters. Georgette loved pets. For the last twenty years she has had a variety of parrots that she nurtured and they in return gave her companionship. Georgette was a world traveler and toured many European cities. Her favorite cities were Rome and Paris. After seeing Paris for the first time, she stated that as a little girl she had always wanted to see Paris and her dream had come true! She enjoyed touring Luxembourg and Germany as well. She traveled the North and South American Continents visiting Montreal, Ottawa, Quebec, Panama; Caracas, Venezuela; the Caribbean Island of Barbados and many American cities. Her last trips were to Las Vegas, Nevada and Cape Cod, Massachusetts. When traveling, she was attracted to museums; seeing the works of the great masters: exploring architectural and historical sites and participating in cultural activities. Georgette leaves to cherish her memory her loving daughters: Barbara Arrindell of Milton, NY, Elaine W. Giles of Germantown, MD, LaGreta Williams of NYC, NY, and Antoinette Williams of NYC, NY. Grandson: Dean Lipscomb Arrindell of Ridgefield, CT. Great grandson: Spencer Alistair Arrindell of Ridgefield, CT. Two sons-in-laws: Wilbur C. Giles, Jr. and Ronald S. Hastings, Granddaughter-in-law Holly Arrindell, Sister Betty L. Richmond, Sister-in-law Exie Lipscomb, Brother-in-law Earl Richmond, Goddaughter Sheila Waters, Godson Brandon McKenzie, Spiritual grandson Harvey Pittman, Parrots Parridote and Missy. She also leaves behind a host of nieces, nephews, great nieces and nephews, great-great nieces and nephews, cousins, friends, and her caregivers Bintou Traore, Esther Queatte, Stephanie Humphrey, Fatoumata Diallo, Diallo Moudatou Bah, and Zabeeda Mokhan. She was preceded in death by her siblings Sherman, Joylette, Sylvene, Julius, and Sherley and son-in-law David Jagaciewski.